Celtic music is enjoying a well-deserved revival. This revival may have been inspired by historical Hollywood epics, by popular dance acts such as "Riverdance", by Michael Flatley or purely by the emotional power of Celtic melodies. The songs all tell stories that have been passed down through successive generations, with more facets than any other kind of traditional music: some are melancholy dirges, some playful and lively dance tunes. 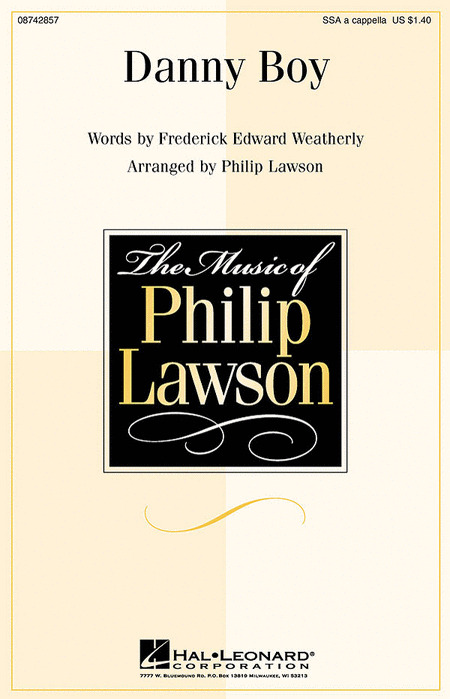 This book brings together 20 of these traditional melodies in contemporary, modern arrangements for mixed chorus. In them you will find homophonic movements, sweeping melodic lines, vocal imitations of Celtic instruments and rousing rhythms. The irresistible charm of this music will leave no choral singer unmoved and is bound to find favour with audiences. David Mooney's stunning arrangements of Irish traditional music were an instant success. As head of music department of the Conservatory of Music and Drama at Dublin Institute of Technology, Mooney is well known in Ireland and the UK where his arrangements have appeared on record, TV and radio. Those items which can be sung only in Irish Gaelic have an English text transliteration underlaid, and a complete IPA pronunciation guide as well as an English translation in the front matter. All items in these pieces are appropriate for multicultural concert occasions, and are of moderately easy to moderate difficulty. England's King's Singers are known for their impeccable musicality. 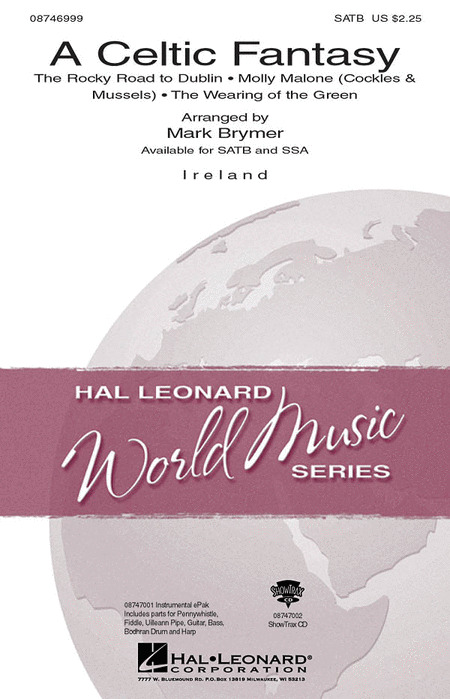 Coupled with the enthralling traditional melodies of Ireland, this intermediate to advanced level collection of ten arrangements will be challenging as well as rewarding and are some of King's Singers favorite and most requested concert selections. This songbook is not only an excellent value, but will become an invaluable addition to your choral library as well. Jointly commissioned by the National Chamber Choir and the Cork International Choral Festival for the seminar from composition to performance, the seminar on choral music. 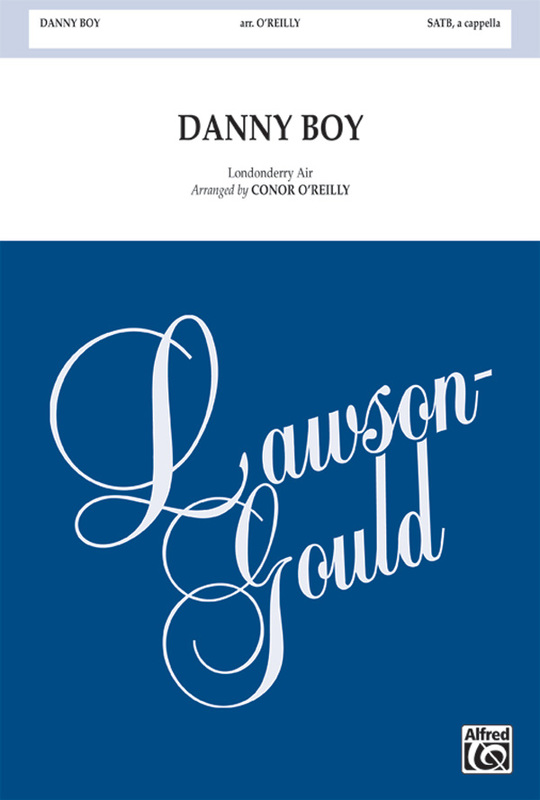 This work was premièred at the Cork International Choral Festival on May 2, 2008 by the National Chamber Choir of Ireland conducted by Bo Holten. Rollicking and upbeat, this playful setting of 'Tell My Man,' a traditional Irish children's song, is accented with hand-clapping and foot-stomping. Limited ranges and familiar harmonies enhance its accessibility and make it a winner! The King's Singers bring home a winner with their arrangement of 'Irish Lullaby.' Both fun and challenging, this soothing 6-part gem is sure to be enjoyed by all. 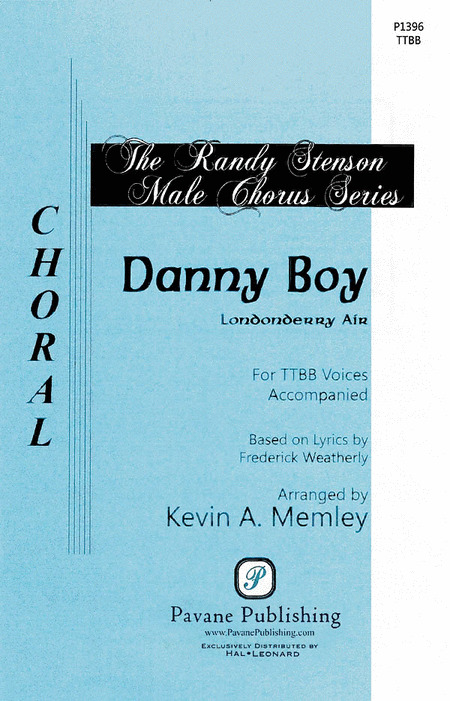 Fred Prentice's compelling arrangement of 'O Danny Boy' has a beautiful tenor solo and rich 8 part harmony throughout. Another King's Singers classic, 'She Moved Through The Fair,' this beautiful Irish ballad is one of the their favorite and most-requested concert selections. With 'The Irish Blessing,' Joyce Eilers Bacak uses the traditional lyric, "May the road rise to meet you." Her a cappella creation makes a moving, easily-taught concert closer. 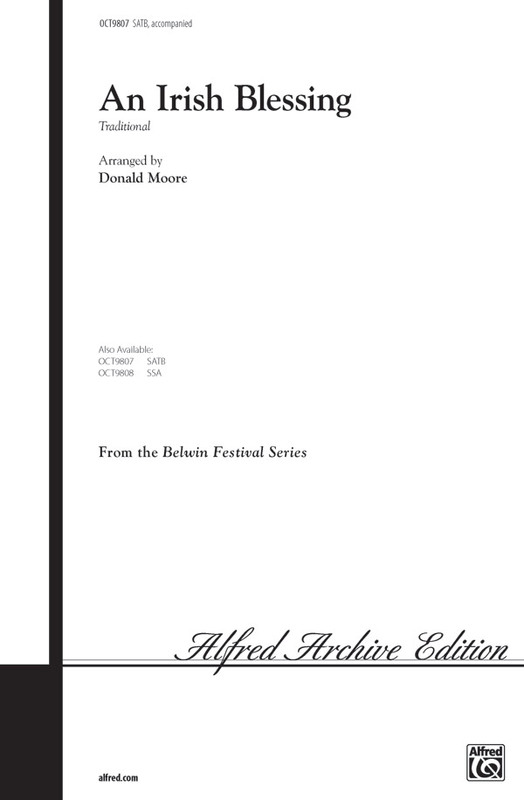 Score and Parts (fl, vn, vc, perc) available as a digital download. The well-known hymn tune ST. DENIO is joyfully recreated for use at Palm Sunday. Lilting with festive jubilation and decorated with a cheerful buoyant accompaniment, the anthem offers an exciting acclamation of hosanna in the highest! Effective counterpoint in the development section adds a touch of classic choral to this arrangement. A must-do! 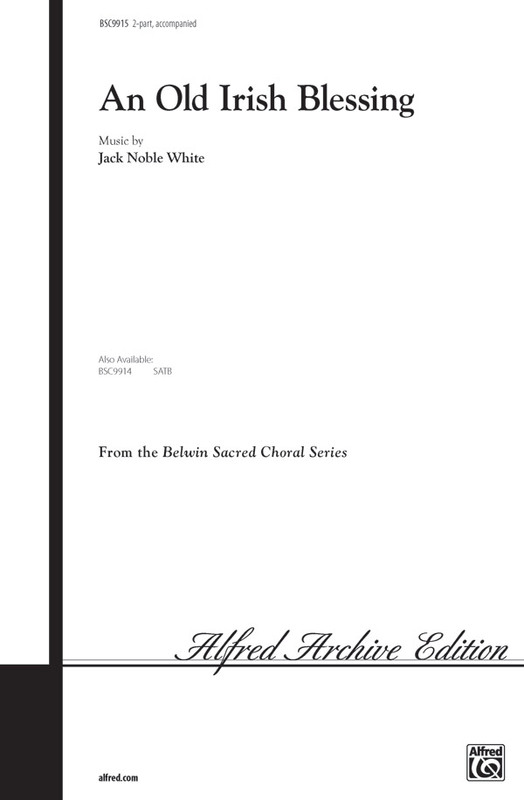 Score and Parts (alto rec, ob, cl 1-2, bn, hn 1-2, tpt 1-3, tbn 1-2, tba, timp, perc 1-2, hp, pno, vn 1-2, va, vc, db) available as a digital download. 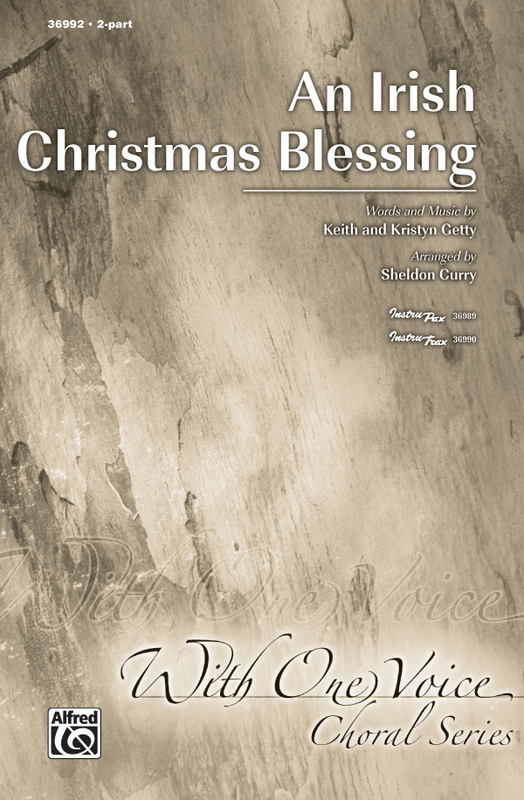 Uses: Christmas, youth, praise team Scripture: Matthew 2:10, Psalm 30, Thessalonians 5:16-18 Following the success of Celtic Advent Carol, Michael Barrett returns with a sequel sure to bring that special sound back to your sanctuary. 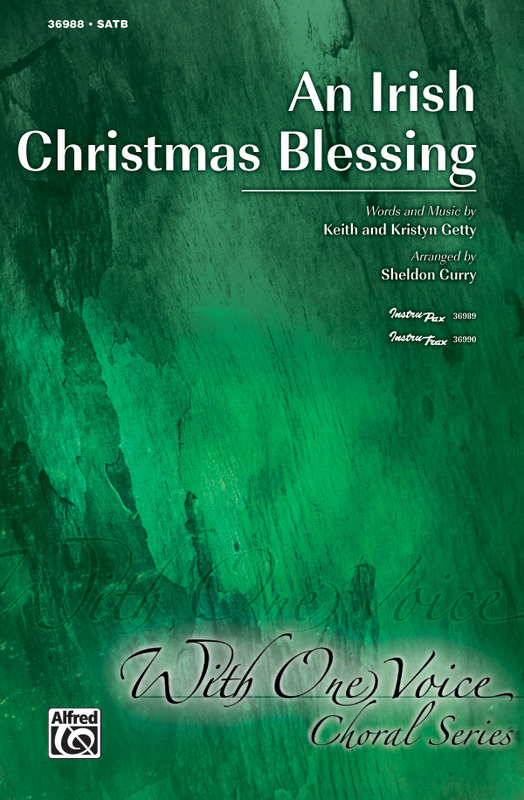 Using a well-known Celtic folk song as the melodic basis, the arranger infuses the piece with a lilting joy perfect for a Christmas service or program. Unforgettable! Also available: Orchestration and StudioTrax CD. 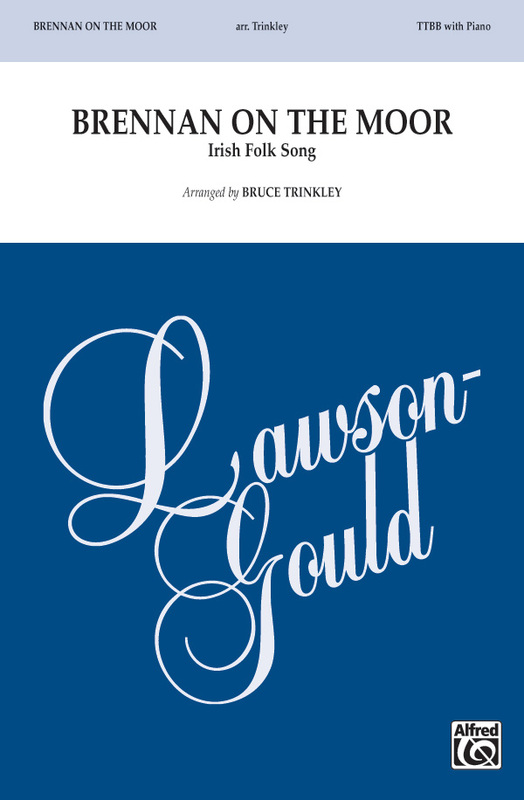 The rousing pentatonic tune of this Irish folksong comes to dramatic life in this stunning arrangement, where the text tells of the rigors of the daily lives of the hard-working miners. Perform this with piano and doumbek, or add some or all of the optional instruments for a full-fledged Irish reel. This Don Moore arrangement of the traditional Irish blessing was originally published in a highly successful TTB edition. Now Moore has revoiced his original creation so that other choirs can perform this choral masterpiece. Easy to sing, and a real joy to program! 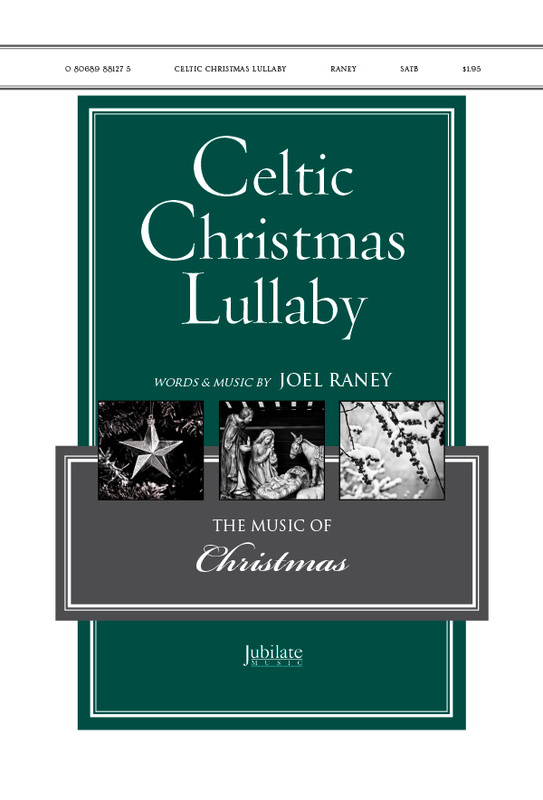 An alternate text (included in the publication) makes this stunning lullaby from Ireland appropriate for Christmas or at any time of year. Sustained a cappella phrases create expressive moments, and brief dissonances resolve beautifully every time. Easy on the voice and keen on the ear, this is one to sing every day as a warm-up selection, or as a "show off" piece at a moment's notice. Lovely. 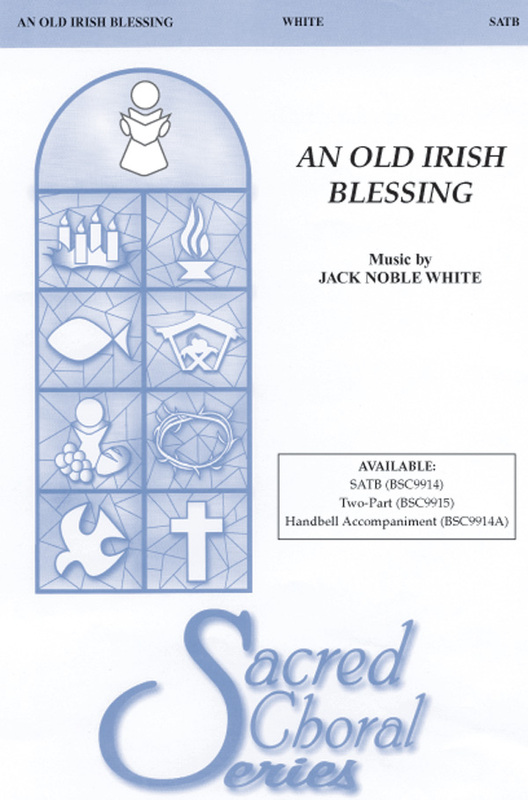 Jack Noble White has an incredible gift for melody, and this new setting of the age-old Gaelic blessing is a perfect example of his talent. This work was premiered on a choir tour to the British Isles the year after Diana's death and was written in her memory. An optional handbell accompaniment may be used in addition to, or in place of, the keyboard. This beautiful benediction promises to become a staple in your choir's repertoire for many years to come. The third number in the Songs of the World trilogy may be the most fun of all. The text is a familiar Irish one and so is the tune, but the arrangement is fresh and new. Includes opt. flute and drum. 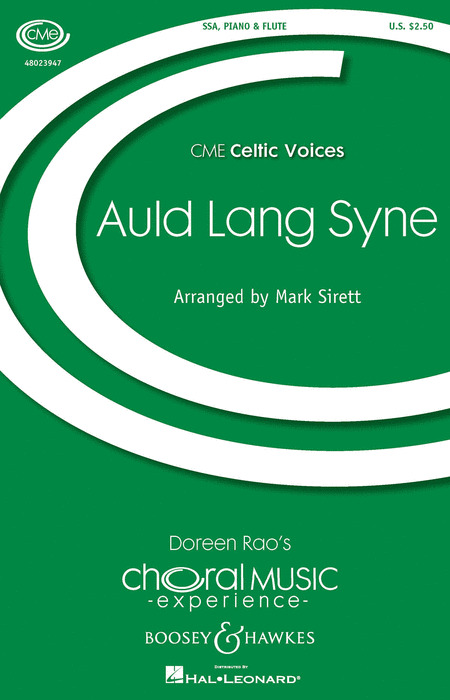 An Irish folksong popularized by Loreena McKennitt, this arrangement offers a showcase alto solo supported by lush choral harmonies and an accessible piano accompaniment. 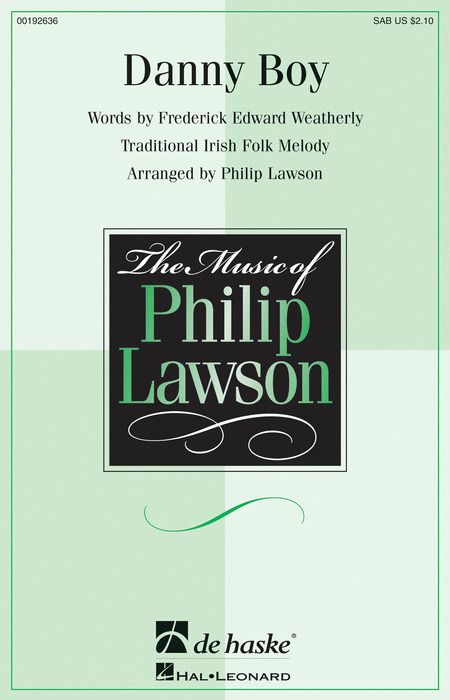 Artfully arranged by Philip Silvey, this beautiful, plaintiff Irish tune is named for the Northern town of Carrickfergus. The song begins with the text "I wish I was in Carrickfergus..." and proceeds to tell a rather typical, dark Irish tale. The melody is unforgettable, and audiences will leave humming. Sweet and gentle from beginning to end, this charming lullaby captures the birth of Jesus in Bethlehem. 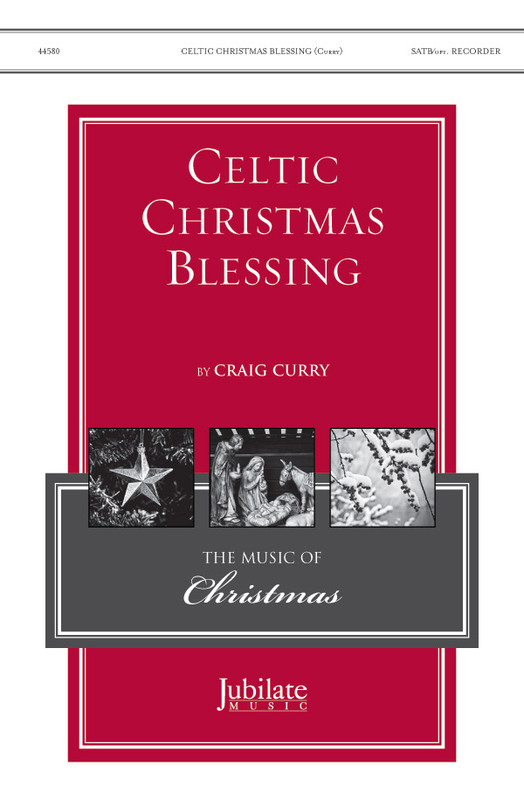 A captivating lilting Celtic melody and a text that is replete with vivid word painting combine to provide an excellent addition to your Christmas Eve service. This sparkling song by Brendan Graham and performed by Celtic Woman on A Christmas Celebration CD, DVD and PBS special is fast becoming a seasonal favorite! Christmas pipes, Christmas bells, Christmas songs - the lilting Irish flavor of the tune is mesmerizing and this choral setting is spectacular! 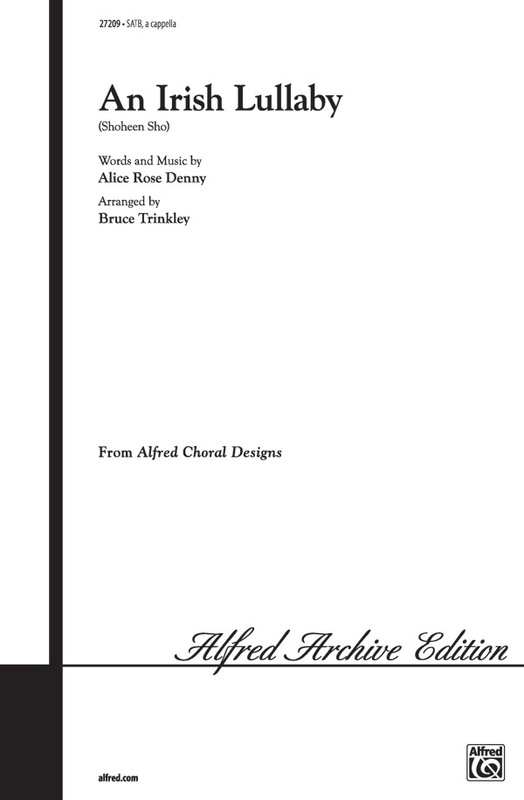 Available separately: SATB, SAB, SSA, Chamber Orchestra score and parts (fl 1, fl 2, ob, cl 1, cl 2, bn, perc 1, perc 2, hp, str: 88442), ChoirTrax CD. Duration: ca. 4:20. A veteran arranger like Vijay Singh knows when to let simplicity shine and when to bring in enhancements to a traditional melody like this one. He patiently waits until we are well-invested in the song before introducing us to harmonic variations. And even then they are subtle and artistically placed. 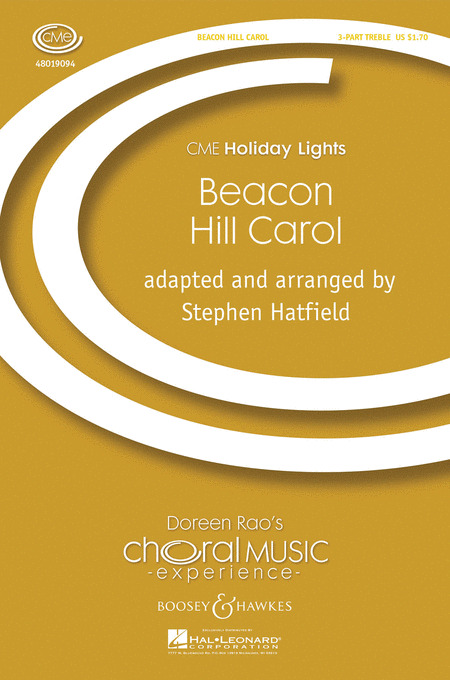 Excellent for high school, college and community treble choirs. 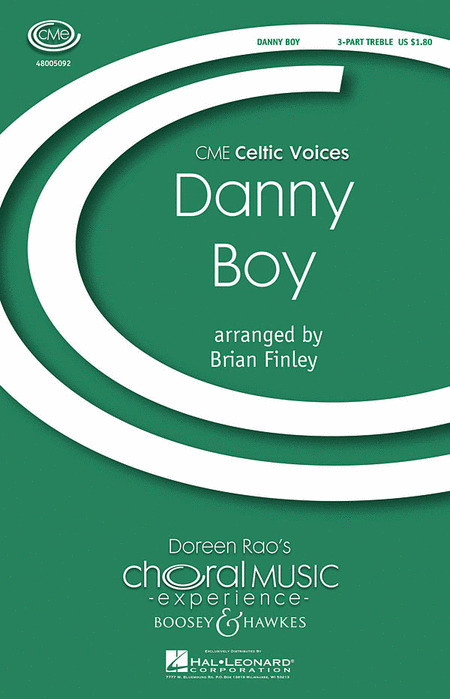 SAB choirs will enjoy sharing their artistry and vocal technique in this lovely and accessible arrangement of the beloved Irish melody, with its gentle phrasing and warm harmonies. Beautiful lyric lines and warm harmonies are the centerpiece of this stunning a cappella setting of the beloved Irish folk melody. This work is sure to leave your listeners spellbound!